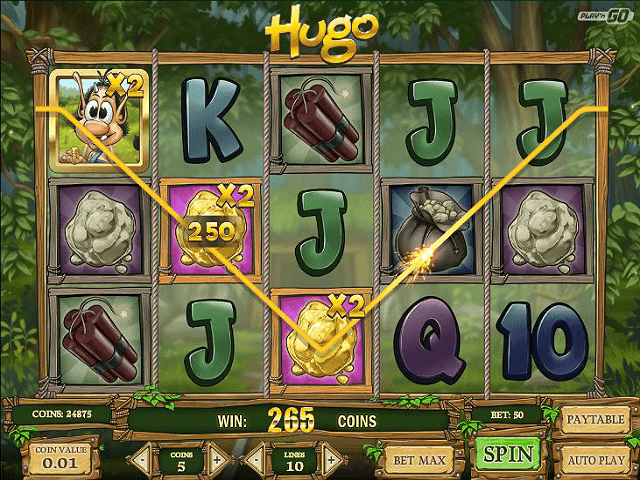 This fun slot is based on the adventures of Hugo, a lovable troll with his own kid's TV show in Norway (!) It features a mobile version as well as a browser based title, and, given it's a Play'n GO game, expect high quality visuals and ease of use. Huge is similar to Play'n GO's collection in terms of mechanics, too. There's a good variation between payouts (you can win a little or a lot: it's pretty balanced), and the five reels with ten paylines offers plenty of bang for your coins. There's no two ways about it: Hugo's presentation is impressive. You'll be treated to an animated introduction when the game loads, with top notch graphics that remain true to the original series. There's a helpful pop-up to remind you what symbols trigger specials or bonus modes, and a background alive with fireflies. Everything about this slot makes for an immersive experience. What's more, the sound is just as good as the visuals. Enjoy a jubilant orchestrated soundtrack alongside Hugo himself, who talks to you before game (as well as knocking on the screen – a nice touch). As you'd expect from most modern online slots, there are wild and scatters in the mix, as well as a bonus mode. More on these later. 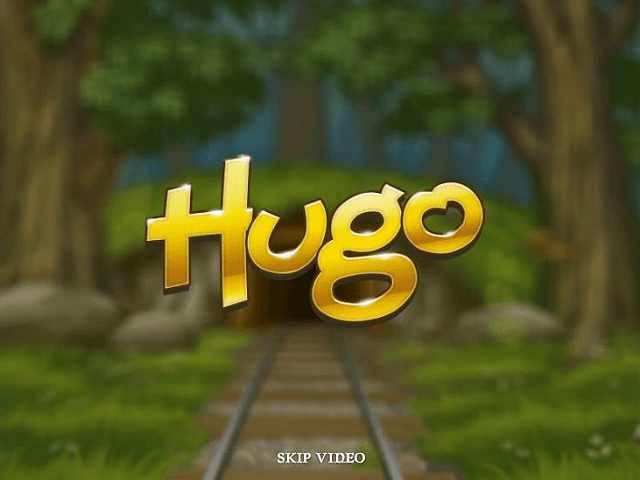 There are multiple ways to win big in Hugo, with 13 different symbols (most of which are themed after the show) offering a mix of high and low payouts. Matching the letter and number symbols gives you the lowest payouts, whereas the gold bags, gold nuggets, dynamite, and picks give you higher wins. Bet wise, you can spin with anything from 10p to £100, meaning there are huge rewards on offer. These come with associated risk, of course, but it's possible to get up to 10,000 your initial bet if luck and skill are on your side. 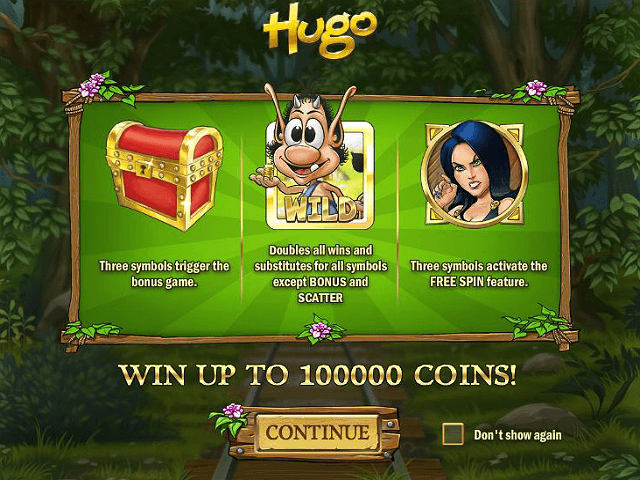 These big winnings are down to the bonus mode, wilds, and free spins, as we'll see below. 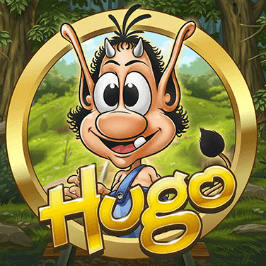 Given the theme, it's only fitting that Hugo himself is one of the special symbols – the wild in fact – so he can personally help you get those essential combinations. If you do get a match with Hugo himself, you'll get double the winnings. The treasure chests activate the bonus mode, and you need three on reels one, three and five. The bonus mode lets you open doors in the gold mine. You need to get to the treasure room for the biggest prize, but each pile of treasure you find gives you a cash prize. Just watch out for Don Croco, one of Hugo's enemies. He could be behind any door! Finally, three or more symbols of Hugo's arch nemesis, The Evil Witch Afskylia, anywhere on the reels triggers a free spin mode. 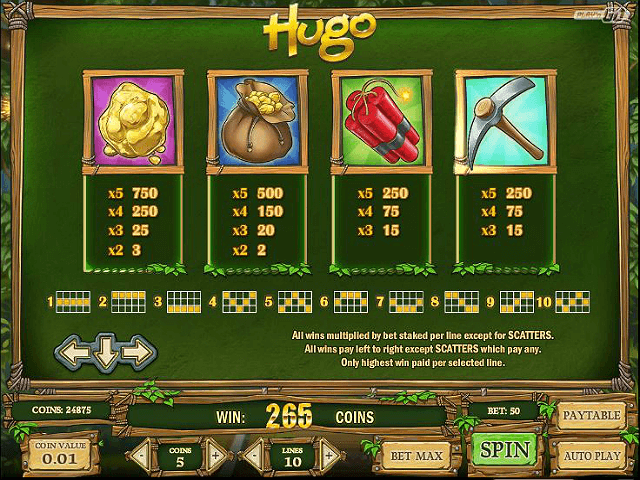 If you're looking for a well presented, engaging and potentially big winning slot, search no further than Hugo. If you like Hugo - You'll like these slots too!